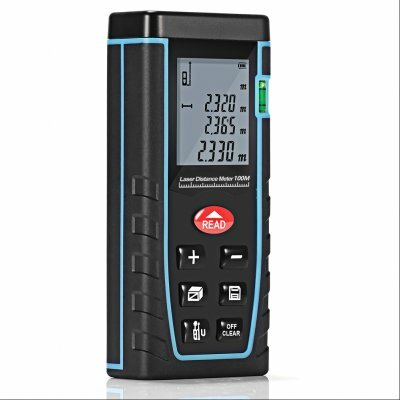 Successfully Added Lumiparty Laser Distance Meter 100M to your Shopping Cart. If you buy 100m laser range finder, we can give one reflector plate as free gift. We have to take away the batteries due to the policy of the shipping company. If you buy 100m range finder,we send reflective plate as free gift for you (about USD5.00). 1.In the case of strong sunlight or target reflection is not good, please use the reflector. 2.Reflecting plate has good reflection effect and measurement on the table or floor, or as a baffle. 3.It can be used in rough uneven walls and astigmatism surface (glass lens stainless steel), the reflected signal is not good or interfere with the strengthening of local signal reflection.